A Little Bit Longer is the third studio album by the American pop-rock band the Jonas Brothers, and their second album released under Hollywood Records and managed under Sony/ATV Music Publishing. It was released on August 12, 2008. The album received generally favourable reviews, four star reviews, from Rolling Stone, Allmusic, and Blender. 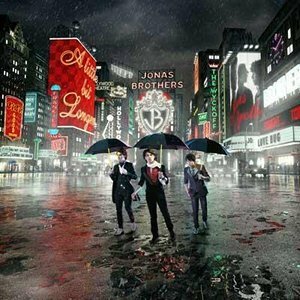 The first single off the album was "Burnin' Up", released on June 20, 2008. The album was number 40 on Rolling Stone's Best 50 Albums of 2008. One of the songs from the album, "Video Girl" was also number 49 on Rolling Stone's list of the 100 Best Songs of 2008. The Jonas Brothers kicked off their Look Me In The Eyes Tour on January 31, 2008 in Tucson, Arizona. They performed several new songs on the tour that were slated to be on their third studio album, A Little Bit Longer.